1min. 44 sec. Ed. 3 + A.P. 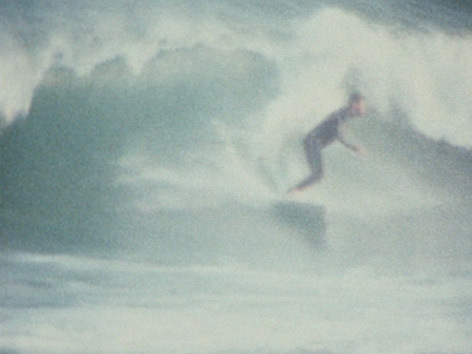 The film is composed of 47 short sequences of surfing moves. None of the actions depicted are shown entirely, they all have been cut so just a small fraction of it is visible. The duration of the sequences varies between half a second and three seconds. All of these actions do happen at a very high speed in real time and although the film was shot in slow motion and is projected at 18 frames per second, resulting in a certain unusual pace, the constant interruption of the action´s development, it´s short duration and the extremely quick image succesion, produces an ackward visual experience, not as pleasant as the subject, surf, could suggest. 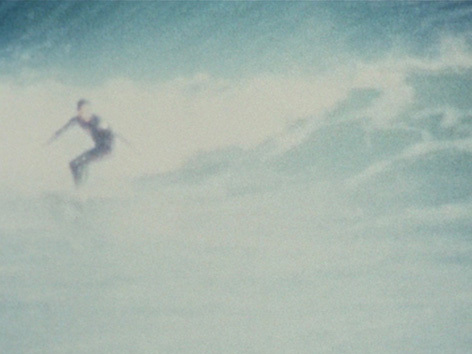 The first 40 seconds of the film show surfers taking off and bottom turning alternatively to the right or to the left. Sometimes the beginning of an action is continued on the next sequence by a different surfer. 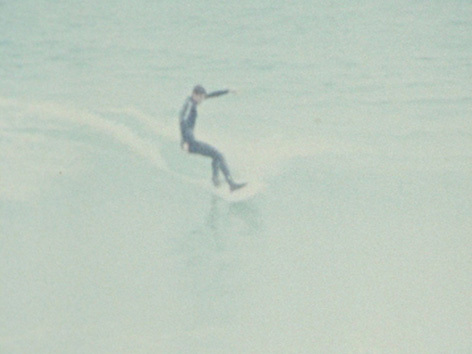 Others, two adjacent sequences show opposite moves as if the surfers were performing a kind of coreography. As the sea gets rougher, the general rythm of the film hastens notoriously, the image succesion accelerates and we start to see some more complex surfing maneuvres. 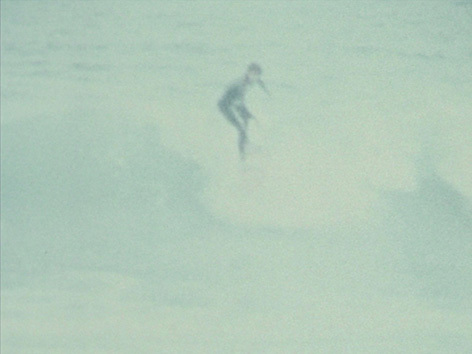 As in Surfers, a previous film set in the same maritime environment, there is no spatial and temporal context, no reference where and when the action is happening and which is its true duration. Time seems to extend infinitely and all geographical references seem to disappear.